An FMS, or fleet management system, refers to a combination of hardware and software needed for a business to dispatch and track its fleet of commercial motor vehicles. The core features of an FMS are scheduling and dispatch: Managers can schedule their drivers’ destinations and the FMS will automatically plan the most effective routes in real-time, accounting for weather or traffic changes. The best fleet management systems will include plenty of additional features, from fuel tracking and safety alerts to tracking drivers’ hours of service for ELD Mandate compliance. An FMS has three elements: The hardware GPS units that must be installed in each vehicle, the mobile app that drivers can use to access the FMS software with a phone or tablet, and the centralized dashboard that managers can use to track all the vehicle data on desktop or mobile. With a comprehensive FMS, a fleet operator can streamline their operations significantly, and will more than likely make up for the cost of the FMS itself. Top FMS providers offer software that can be integrated with other business software, such as asset tracking or other telemetrics. The biggest names in FMS – Verizon Connect, Teletrac Navman and Samsara – offer a feature-rich service with a large support team, making them strong choices for larger fleets. Some services, like US Fleet Tracking, focus on selling GPS tracking hardware rather than a full solution, while others, like Fleetio, offer a stripped-down service that may be more cost-effective for some. The ELD mandate is a recent U.S. law that rules nearly all commercial motor vehicles in the nation must use an electronic logging device, or ELD, to track their drivers’ hours of service. 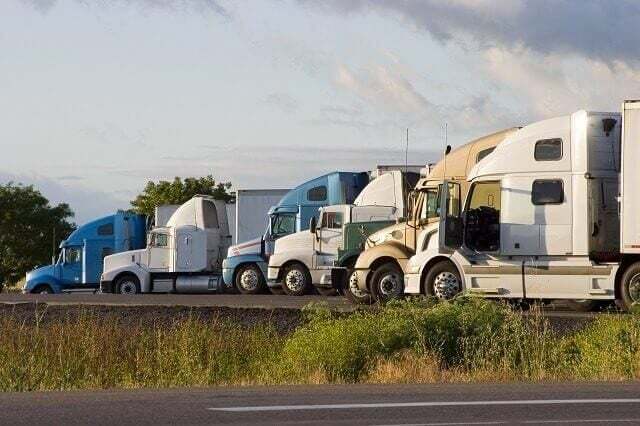 The ELD must be able to display the information during roadside inspections in order to prove that the operation is in compliance with labor regulations. Most FMS providers are ELD compliant, while some also collect the data needed for DVIRs and the IFTA fuel tax. Read Tech.co's Guide to the ELD Mandate to make sure you aren't caught out. We take a look at what the ELD Mandate means for commercial drivers, what kind of data is being tracked, and how fleets can ensure they remain compliant with the law. An FMS promotes better driver safety, as it can track a driver’s unsafe habits and notify managers in real time for a quick response. It also cuts down on travel times and fuel spent, both saving money and lowering total emissions. The main benefit, however, is in operational efficiency: An FMS speeds up routes, helps track and reduce overtime, cuts down on idling time, and reduces maintenance by lowering harsh driving incidents, saving thousands of dollars per employee. From the best providers, this is all in addition to ELD compliance. Find out more about Fleet Management and its benefits. The cost of an FMS will vary depending on the size of a fleet and the number of features required. Hardware units might be leased, or might be bought at a higher up-front cost but a lower long-term cost. Unit installation may cost extra, though it can be free. An FMS service with limited functionality might cost anywhere between $3 and $25 per vehicle per month, while an advanced service may cost between $30 and $55 per vehicle per month. Read Tech.co’s Fleet Management Price Guide. Trucking dispatch software helps businesses with vehicle fleets centralize and automate the daily processes that keep their operation running smoothly. Here, we list the top ten best dispatch software vendors, listing the features, benefits, downsides, and price plans of each. Connected vehicle platform company Azuga's flagship service is its fleet tracking solution. The service offers self-installable hardware and dedicated tablets powered by a software that aims to offer a safer, driver-centric approach to fleet management. Any company with a fleet, no matter how small or large, could benefit from a route planning software. 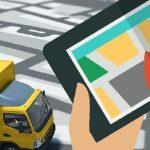 We round up the biggest and best routing and dispatch software providers, which all offer a vast range of features that go beyond the basics of route planning. KeepTruckin's rise in the industry has been rapid. Within 12-months the company went from $1 million revenue to >$50 million, and it's still growing. Their main selling point: a broad range of features available at a fair price. Could this be the best provider for your fleet? This guide details Tech.co’s top picks for the best ELD devices in the market today before covering the benefits of a full fleet management system and answering any frequently asked ELD questions managers might have. The right field service or trucking dispatch software should make your business run more smoothly, improve your customer satisfaction and allow your business to take on more jobs. This guide profiles the top multi-industry dispatch software solutions to help you pick the best. This review covers the most useful Silent Passenger modules, gives a brief overview of Silent Passenger-compatible hardware units, explains what makes their support team unique, and discusses how the vehicle tracking service's pricing functions. Fleetio Manage fleet management software offers greater business efficiency and security, and at a low cost. What's the catch? Find out more about Fleetio's services in our 2018 review, and compare prices to find the right solution for your company.